Some pets accompany their owners everywhere. Handbag dogs are one such group. Other owners have their favorite animal snuggled on a shoulder, a rat perhaps, or other rodent-companion. The rest of us restrict ferrying our pets to vacation time. The other unavoidable pet journey takes place when there is a house move. Where distances are great, road travel is probably not best for pets. Endless hours cooped up, with only very brief stops for calls of nature, are almost as fraught with pets as they are with children. And haven’t you sometimes felt sorry for your pets having to listen at close quarters to their human ‘pack’ loudly bickering for mile after mile? Rather than having the fur flying, why not take the fur flying? In fact, looked at one way, having your pet on board the plane you’re on might be a possible cure for flying nerves. Worrying about the possible trauma of take-off and landing for the little creature could be a great antidote, taking your mind off your own misgivings. There is a certain type of pawssenger (get it? ), therefore, that really is more stressed than you. The secret to successful flying lies in the pre-flight effort you put in. 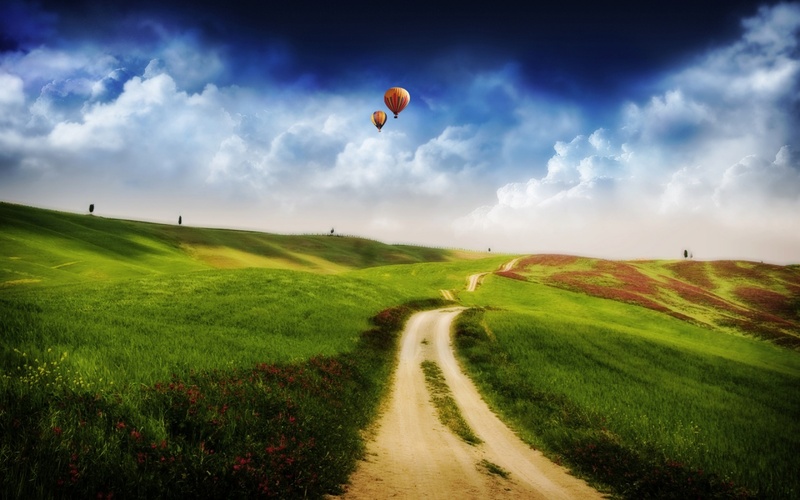 Check out more than one airline, if at all feasible. 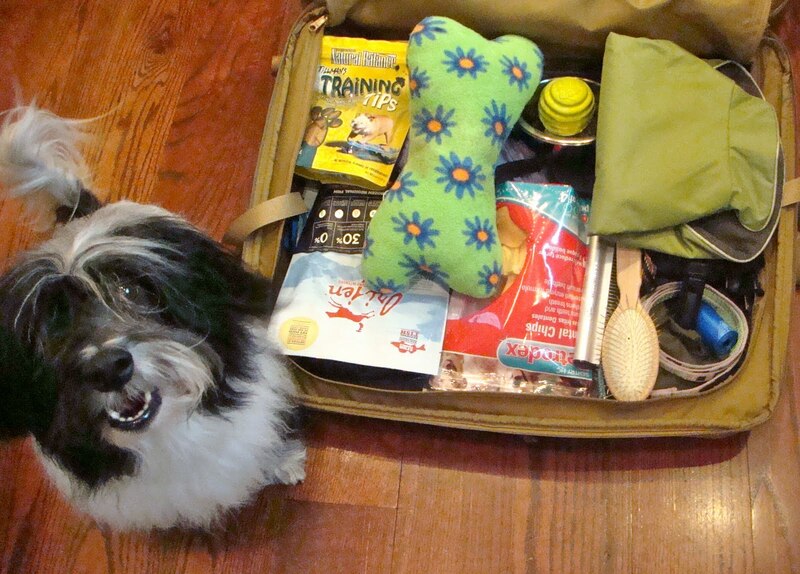 American Airlines and KLM get good reports from the pet-friendly fraternity. Enquire about their requirements as regards travel documents for the animal, what health certificates are needed and what they expect you to bring with the pet. 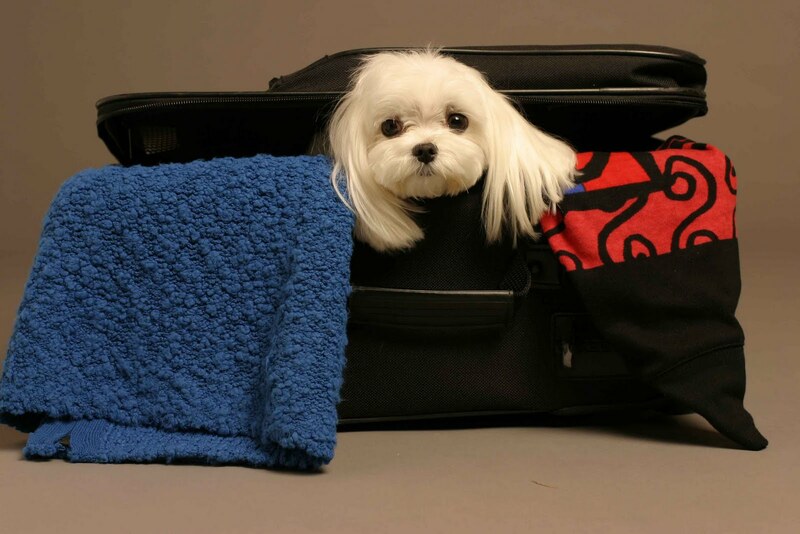 Check what pet travel carriers they approve Remember, there will be an upper limit on the number of carry-on pets permitted. In the US, the one-way fee for a pet in the cabin tends to range from $69 to $125. The animals which must fly cargo – as a rough guide, those weighing over 10kg – will generally cost the owner between $100-400. Generally, those airlines that carry pets allow the following: dogs, cats, ferrets, rabbits, guinea pigs, hamsters, household birds, non-poisonous reptiles, tropical fish and even pot bellied pigs. 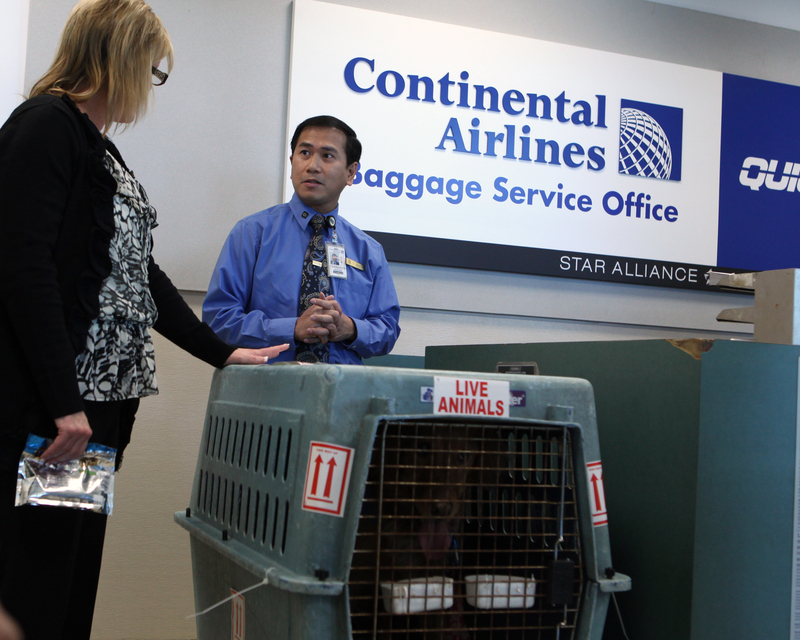 Be aware that your airline possibly will not accept all domestic animals. Before booking your tarantula or Madagascar hissing cockroaches, check their acceptability. In many cases, and certainly usually in Europe, animals have to travel cargo, in the plane’s hold. However, there is always an area of the hold which is pressurized and temperature-controlled for animals and for certain delicate items being transported. You will know whether your dog or cat can handle the ordeal. You will also have to be the one who decides what chemical intervention to deploy. Yes, we are talking about drugs, namely sedatives. This is the most hotly debated aspect of the pets-on-planes topic. Several animal-rights organizations are against the use of sedatives as there are definite risks. 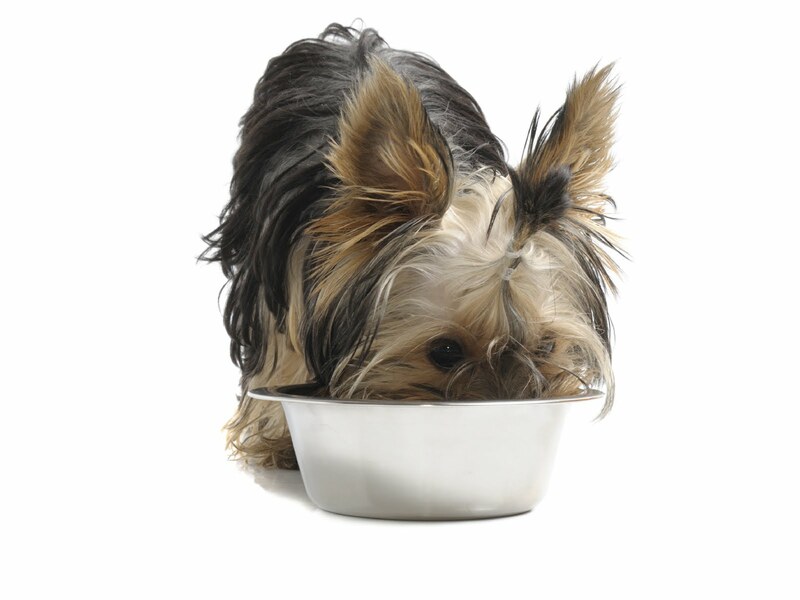 And some breeds – including Persian cats and, among dogs, the Pekingese and Bulldog – have short nasal passages that mean that extreme heat or any loss of oxygen can be fatal. Crucial to pet comfort is choosing a cool time of day for travel. To minimize risk, airlines will generally not transport animals as cargo in summer, since it is while the plane is sitting waiting on the ground that the greatest risk occurs. One passenger frequently transporting her pet dog has a routine of handing the chief cabin crew member a note with the pooch’s picture attached. She requests that the note be passed to the captain. It reads: “Hi, I’m Asterix and I am a nervous flyer. Please let my owner in seat 25B know when I’m on board.” It may sound extreme, but the personal touch might help to remind airline crew that animals are not baggage. So, the good news is: you aren’t necessarily in for a bumpy ride. About the Author: Heather Flood currently writes for a group of websites including Compare Pet Care.